Employer Day is an annual event where the College invites guest speakers into the department to hold a variety of industry and employment themed workshops and lectures. Last week we welcomed Simon Bolsover, Executive Chef at the Coniston Hotel, and Paul Leonard, from the Devonshire Arms. They spoke about their careers and gave advice to the students on what it takes to work at the highest level in the industry. 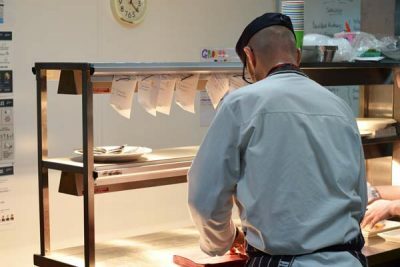 Peel Entertainment then introduced the students to all the career opportunities that are available, including working on cruise ships and working in their Alexanders Restaurant in Skipton. In the afternoon it was great to welcome back ex-student of 2016/2017, Tom, who is now Commis Chef at Rudding Park Hotel, and his colleague Paul Warner. They both held a demonstration on cooking a pigeon dish and a scallop dish. Stanforths of Skipton came and gave a short butchery skills demonstration and then finally, the group was joined by another of our famed ex-students, Consultant Chef, Stephanie Moon. 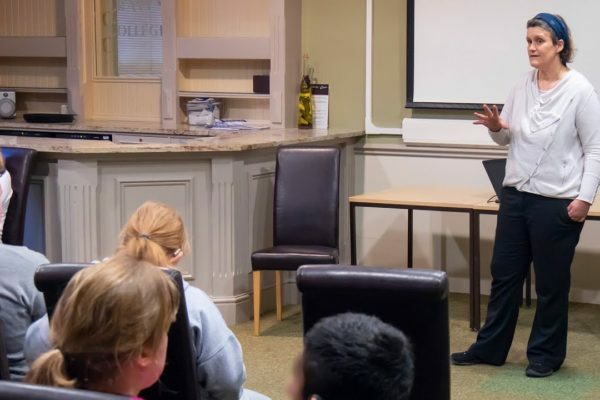 Stephanie, who attended Craven College over 30 years ago, gave a talk to the students about her career and her experiences. This programme offers you an exciting opportunity to develop your interest in practical cookery, serving customers and gaining valuable work preparation skills. A Commis Chef is the most common starting position in many kitchens and usually the most junior culinary role. A hospitality team member can work in a range of establishments, for example, bars, restaurants, cafés, conference centres, banqueting venues, hotels or contract caterers. Calling all chocoholics! Indulge your chocoholic tendencies with this one day course. Experience the taste of Italy in this introductory course.